Unless you are an employee at an auto dealership yourself, the process of purchasing a used vehicle can be a bit overwhelming. Many people only purchase a few cars in their lifetime so the experience comes with some uncertainty. 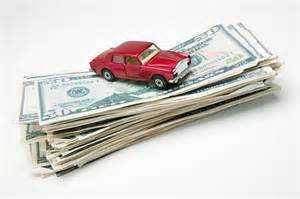 Here are a few tips to avoid being scammed when contemplating auto financing in Wentzville. Always complete the financing process at the dealer before you leave. One popular scam is to draw you in for a low interest rate, then after you drive home you are notified that you did not actually qualify and are charged a much higher interest rate. Know your credit score before car shopping. This prevents unscrupulous dealers from stating that your score is lower than it really is. Get at least the minimum warranty available from your buy here pay here auto dealer. This provides protection, especially for those “as is” purchases. Do not fall for a straw purchase. If a dealer says that you must have a co-signer to qualify, walk away. Be wary of dealer preparation fees. While there are legitimate costs to readying a used car for sale, many dealerships mark up the fees excessively. Bargain with the dealer to remove or at least lessen the costs. To be certain that you are getting a quality used vehicle and affordable, honest auto financing in Wentzville, shop at 5 Star Auto Plaza. Our stellar reputation in the area speaks for itself. Give us a call at (636)940-7600 to discuss our inventory and financing options for your particular situation.